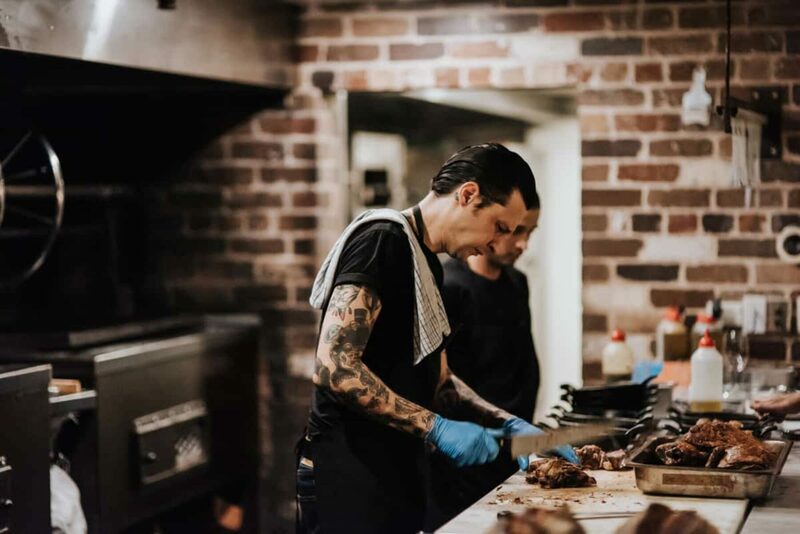 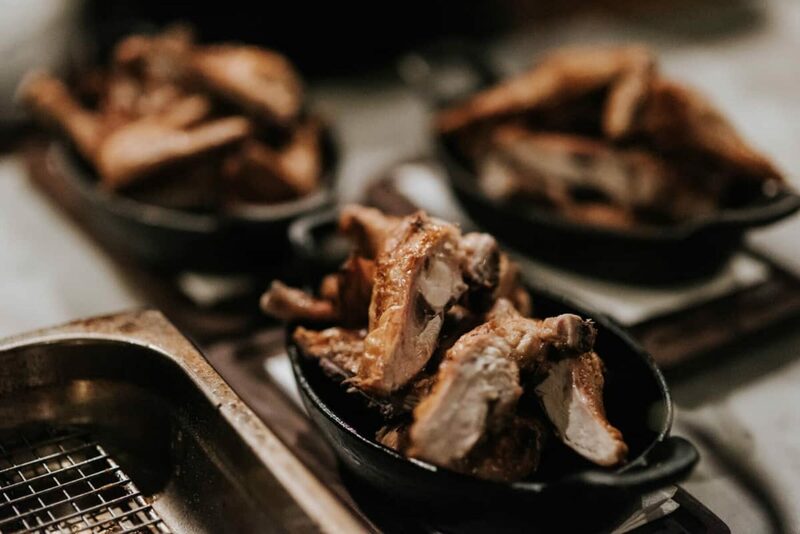 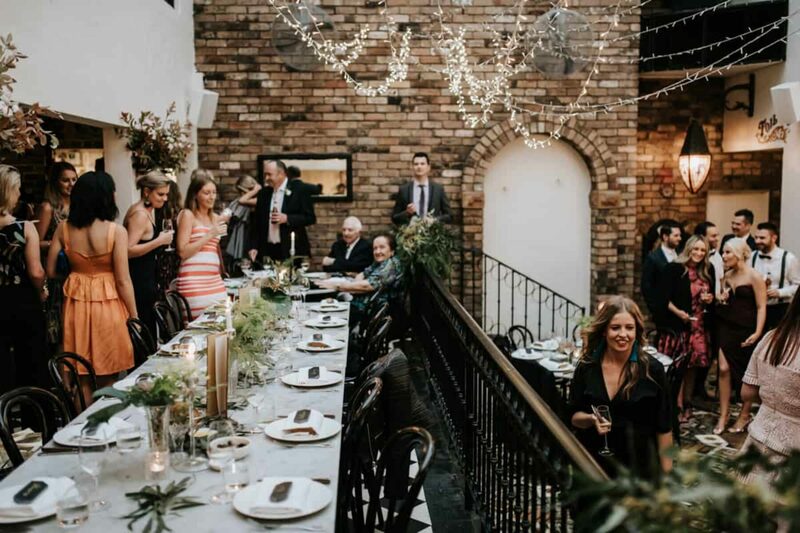 Trendy Surry Hills restaurant Porteño was the ideal venue for foodies Kristelle and Myles, and Sydney photographer Damien Milan was on hand to capture every moment of this stylish affair. 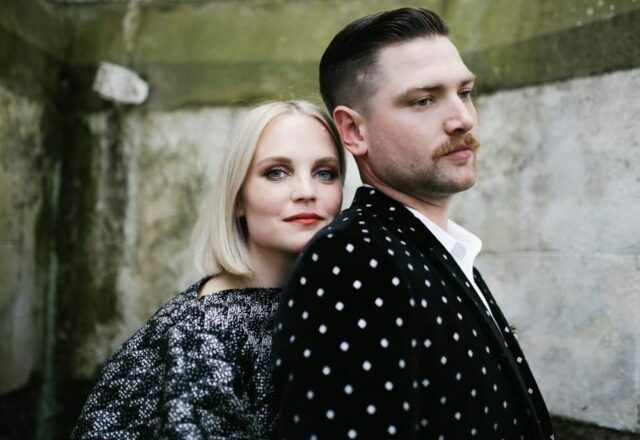 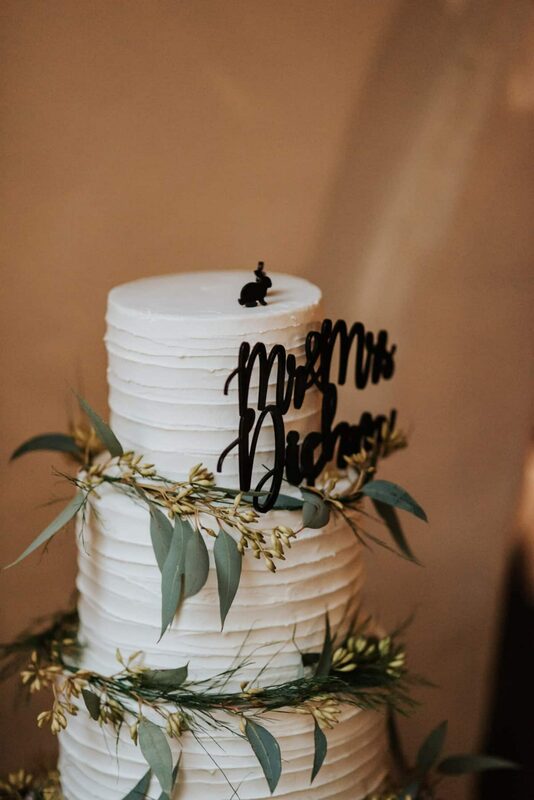 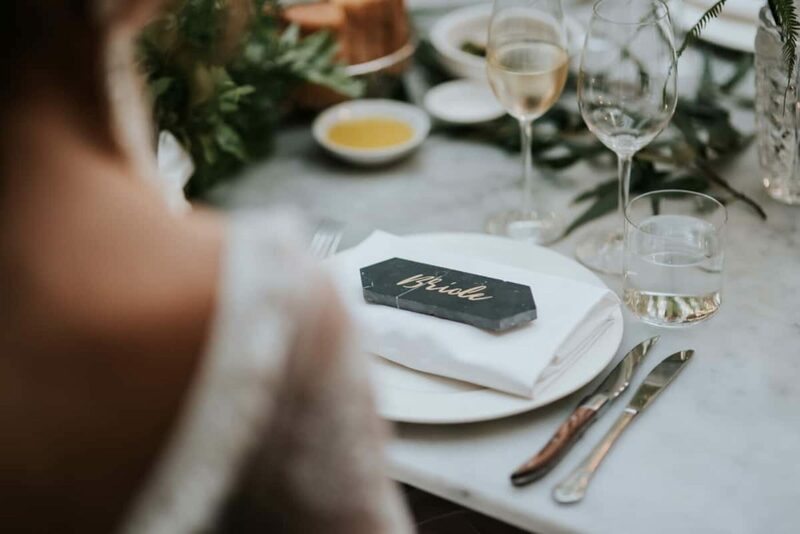 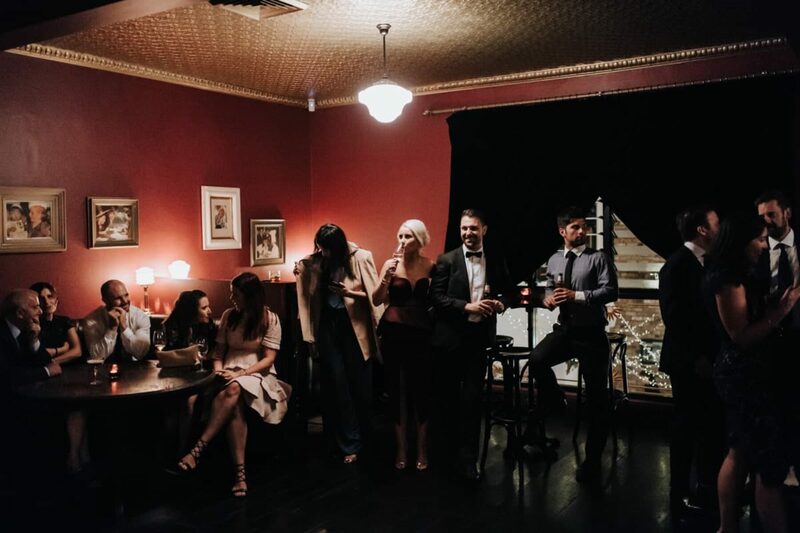 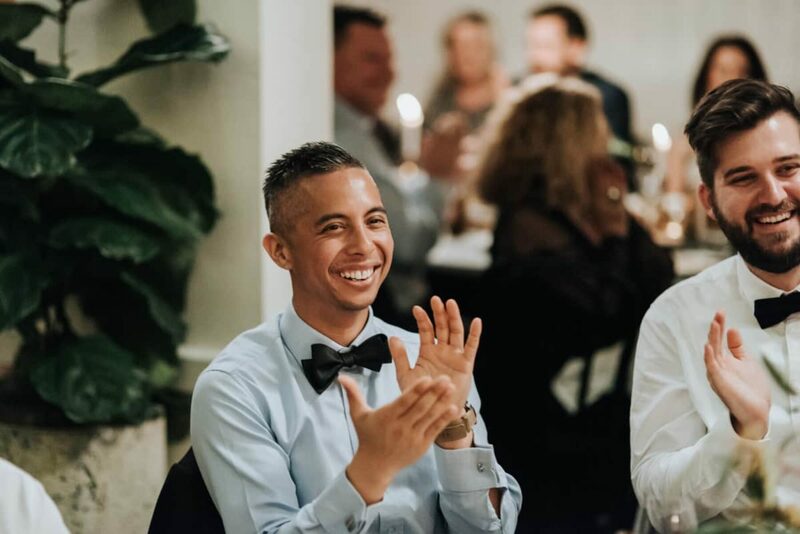 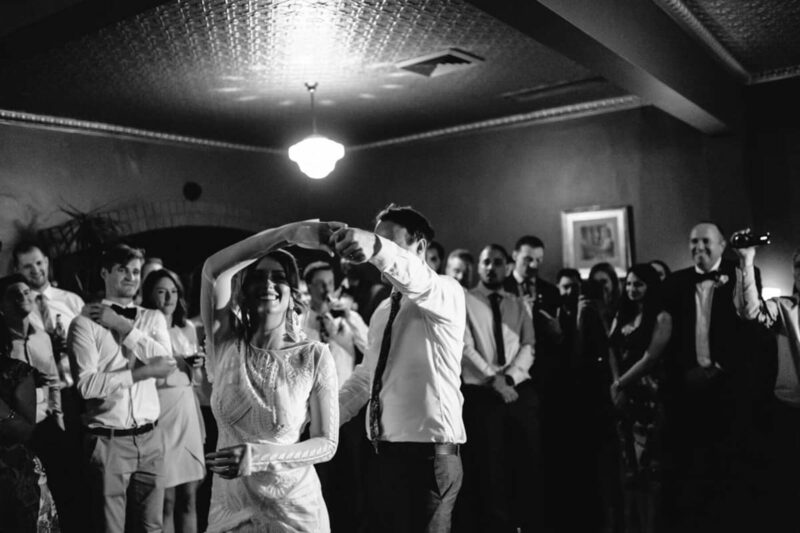 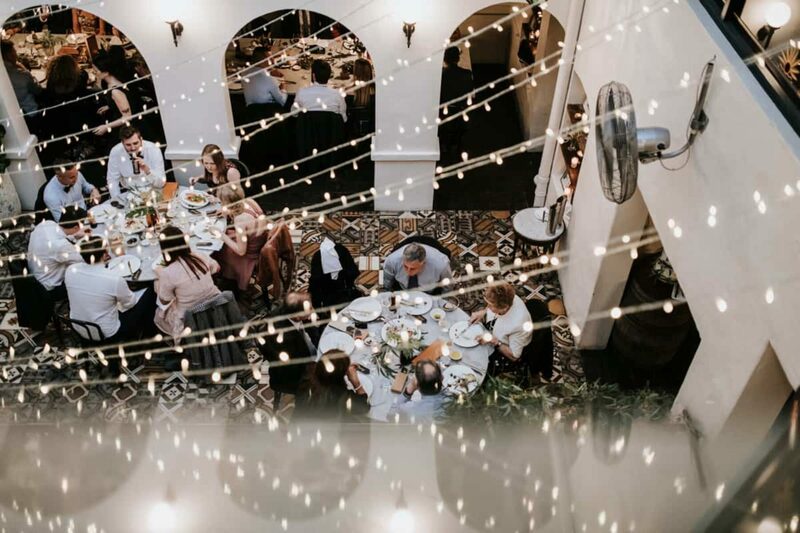 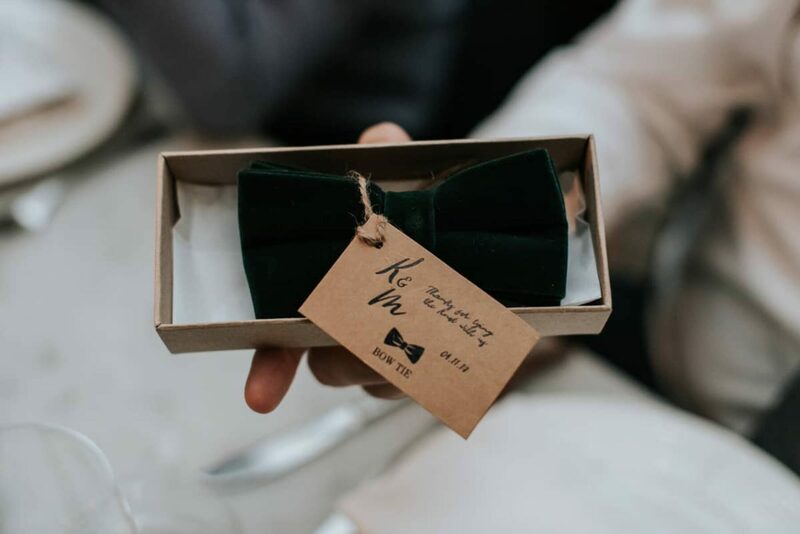 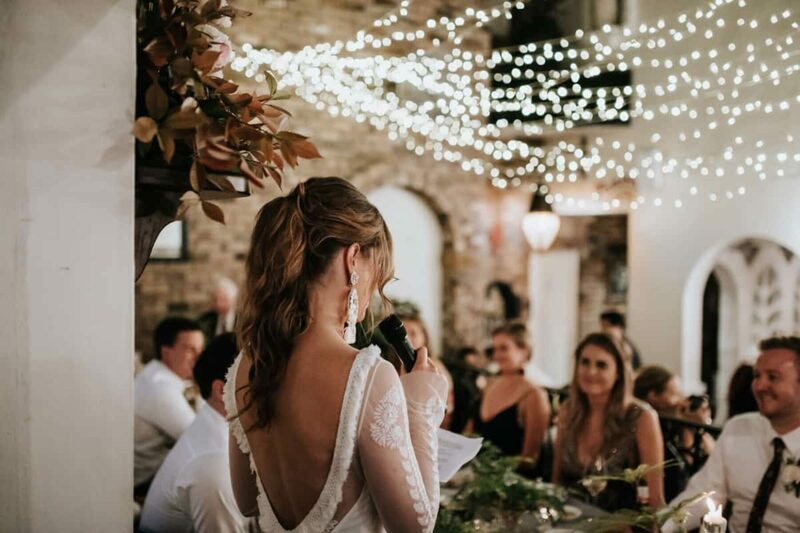 Once the venue was decided, the rest followed from there, with the restaurant’s rustic European charm carried through to the other elements of their day. 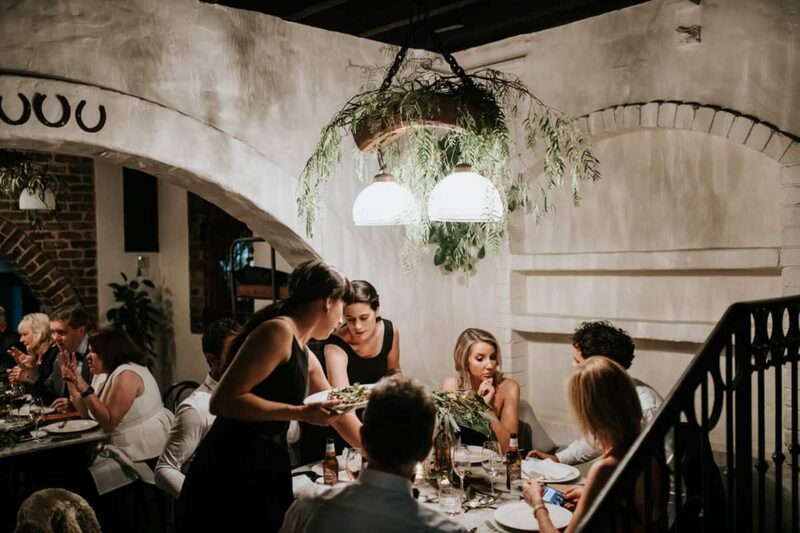 With a brief of “black tie botanical”, stylist Alan McMahon used a canopy of fairy lights, mismatched crystal and brass, and a mixture of ferns, palms, gum leaves and magnolia leaves to accentuate Porteño’s distinctive style. 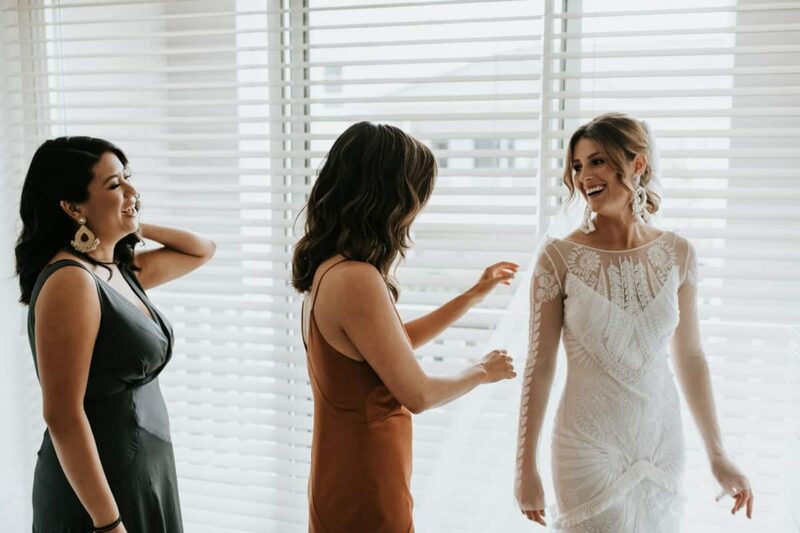 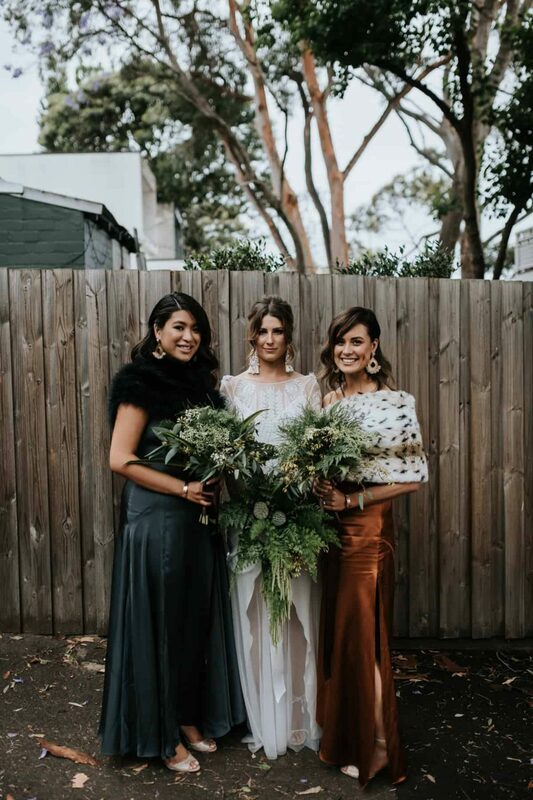 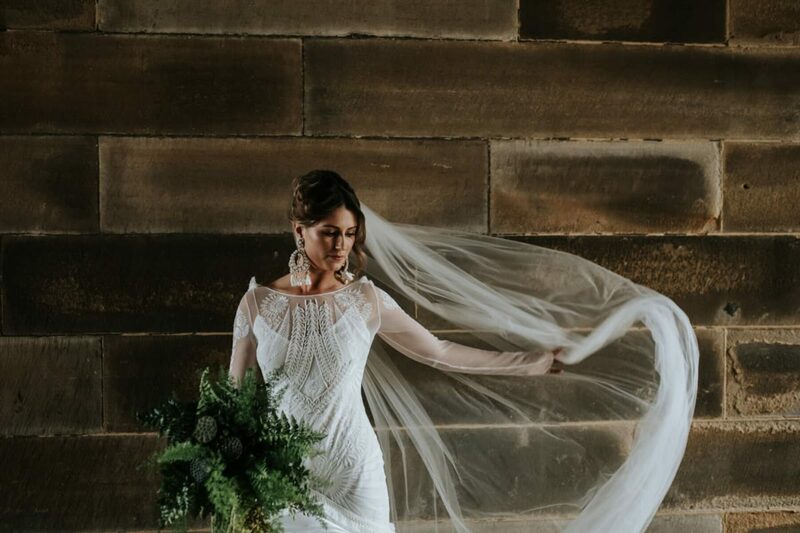 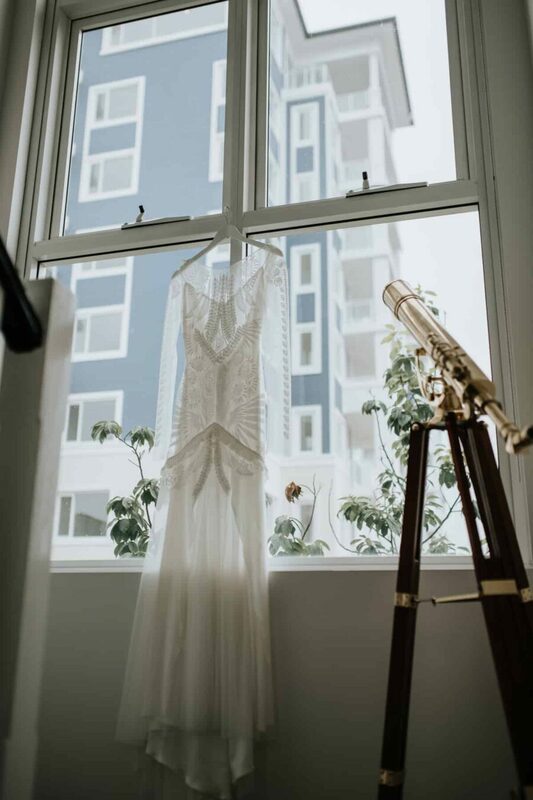 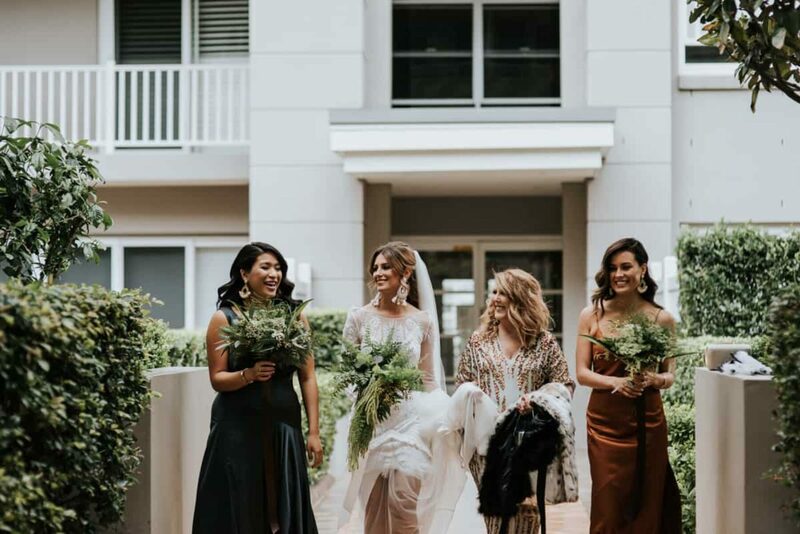 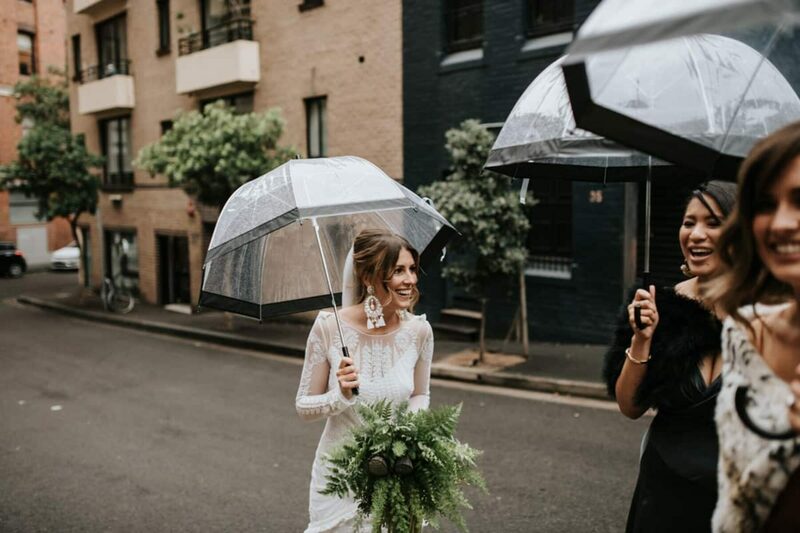 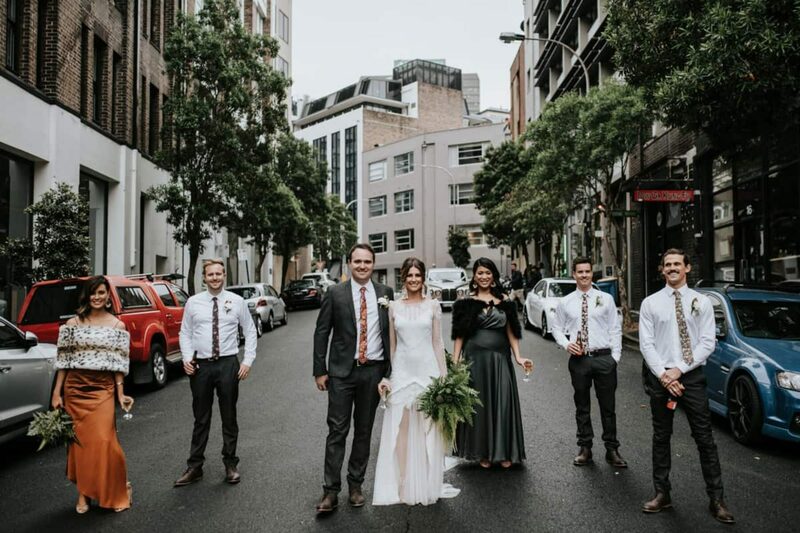 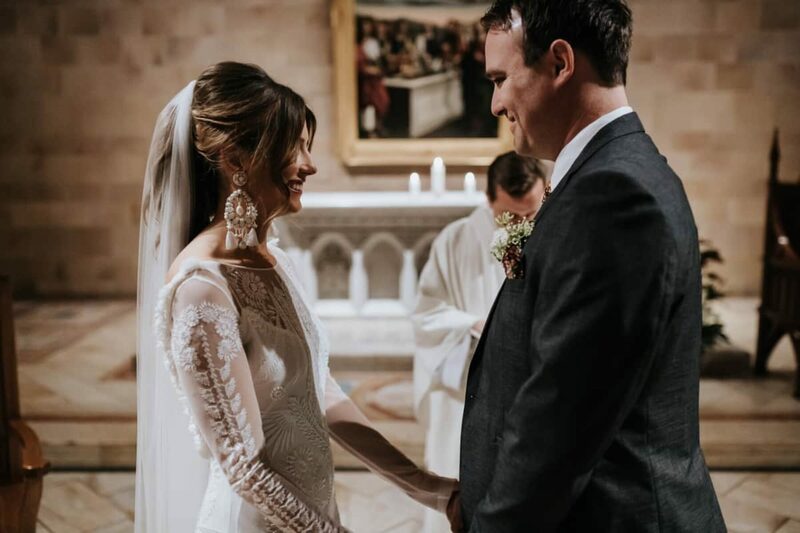 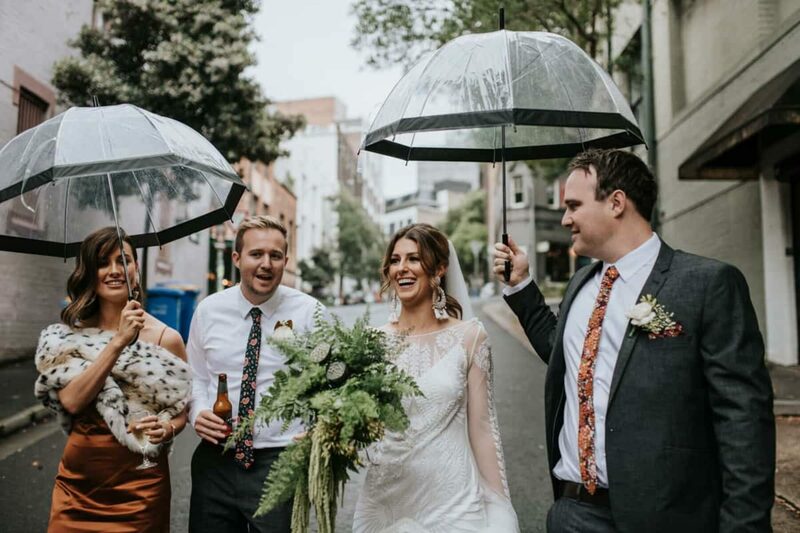 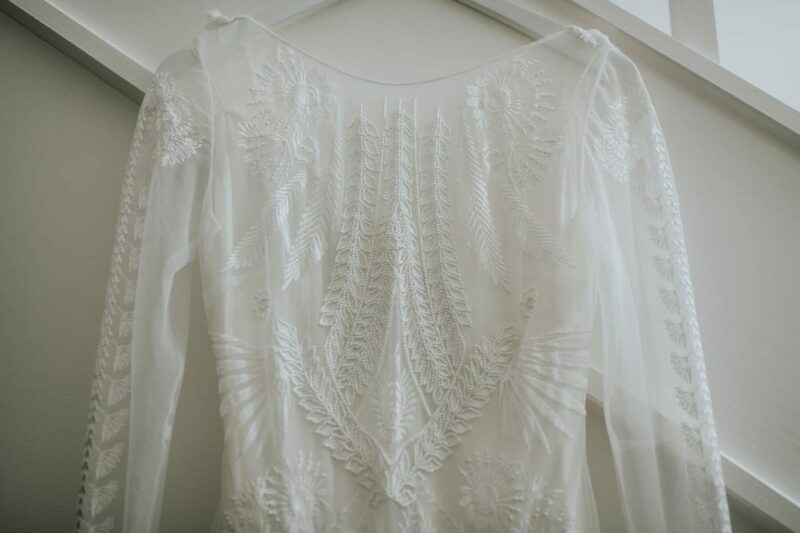 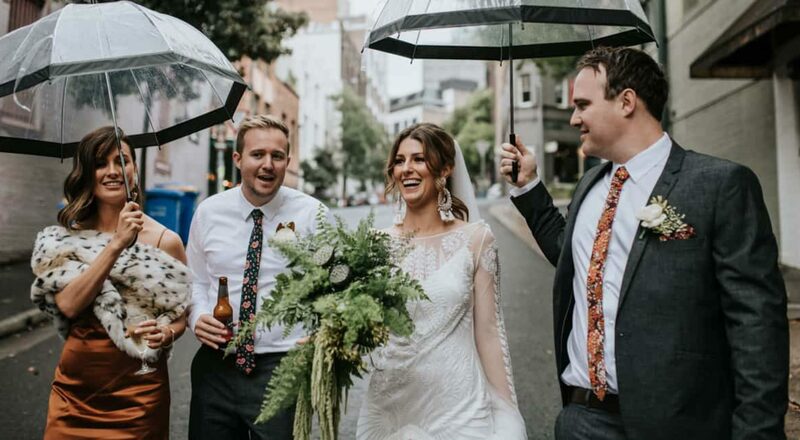 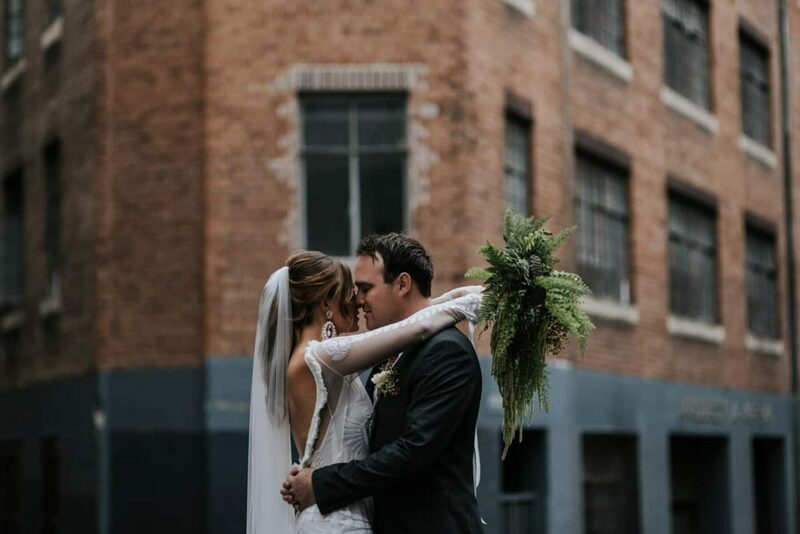 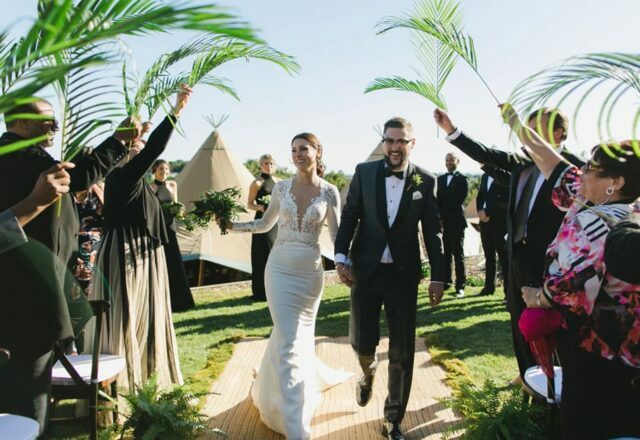 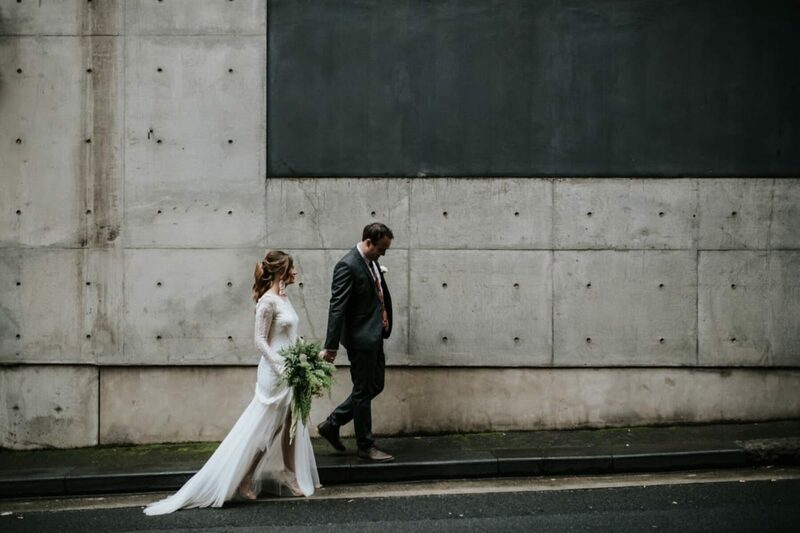 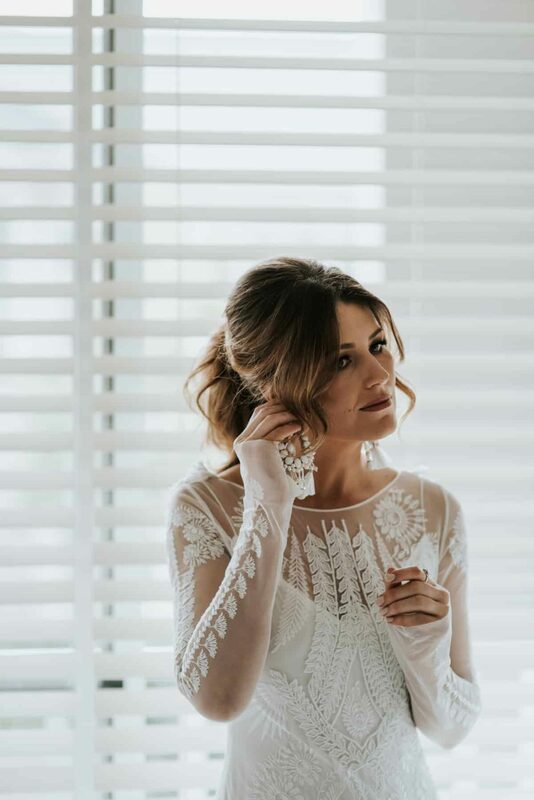 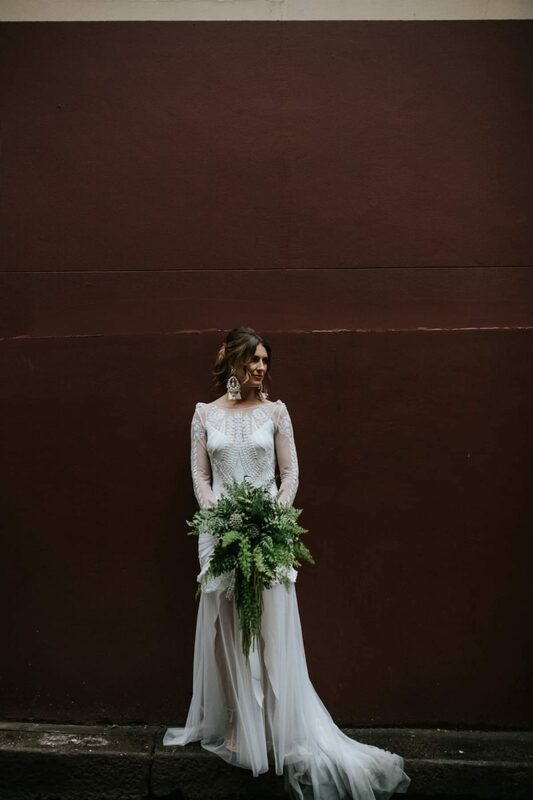 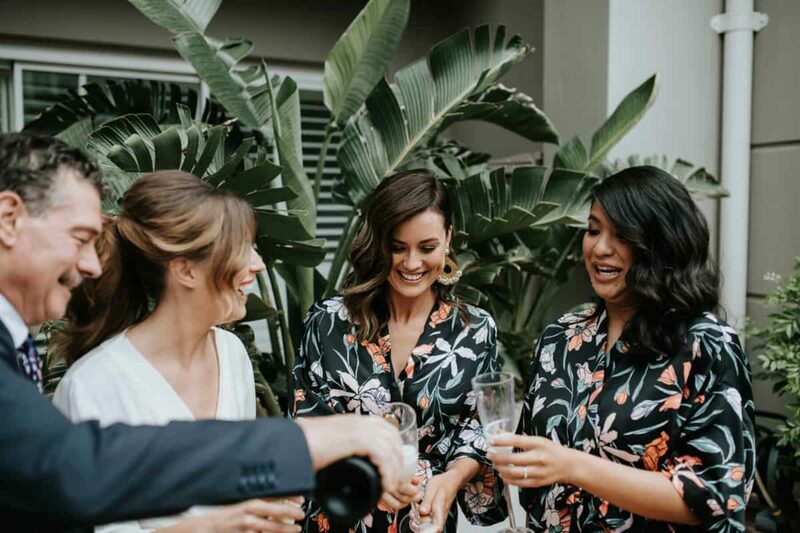 Kristelle’s Rue de Seine gown from The Bridal Atelier, with its long sleeves, plunging back and fringing detail, provided the ideal mix of comfort and style. 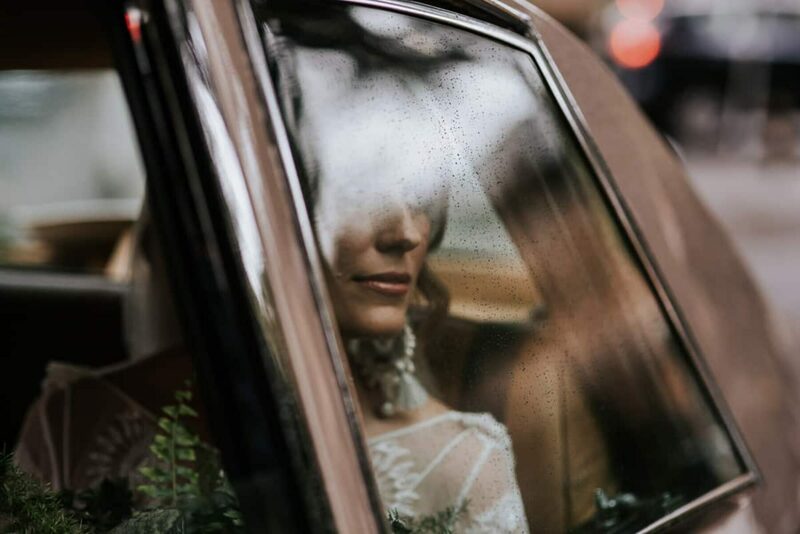 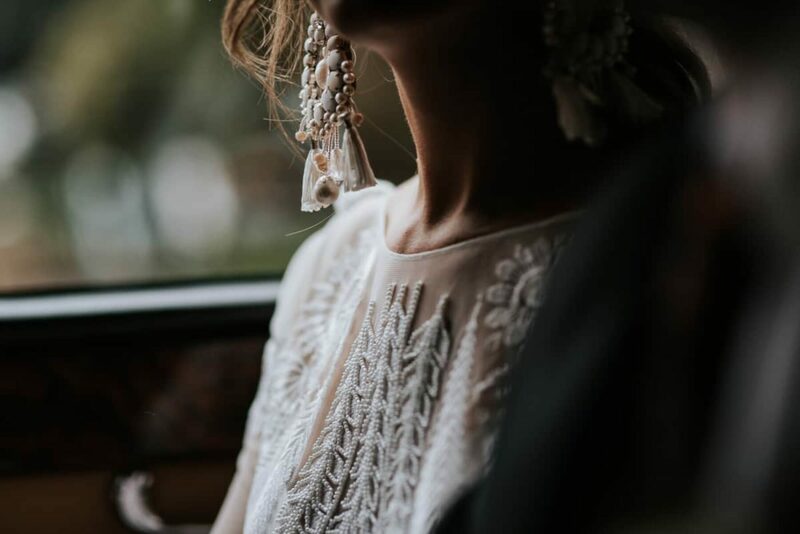 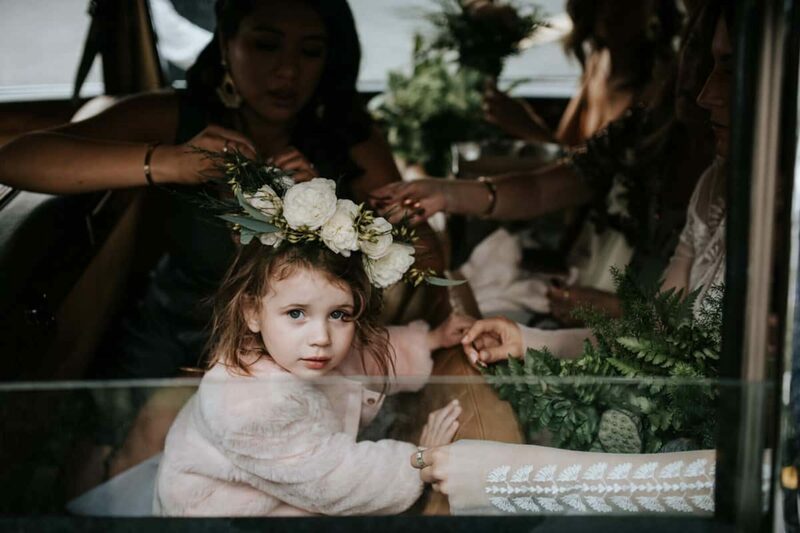 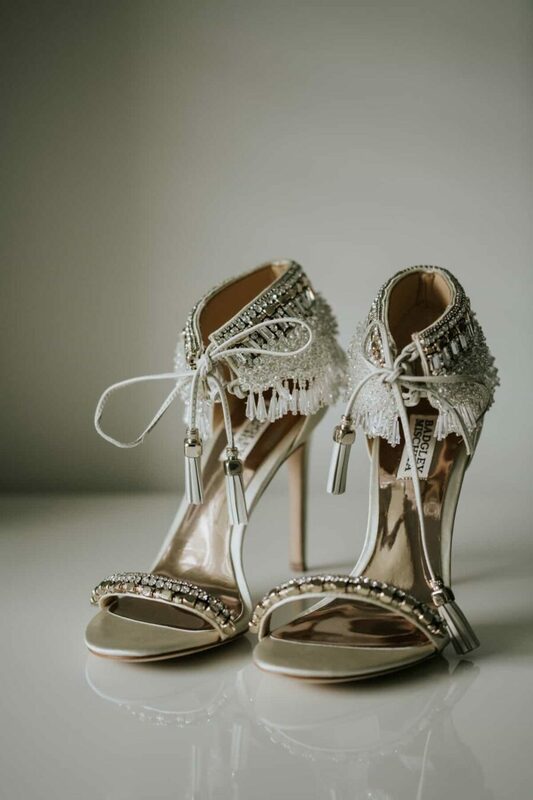 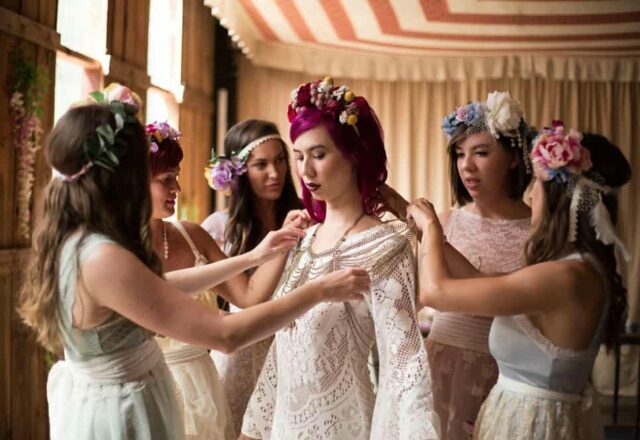 She accessorised her bridal look which she describes as “bohemian but sophisticated” with a Rue veil, statement earrings by Ranjana Khan and glam Badgley Mischka heels. 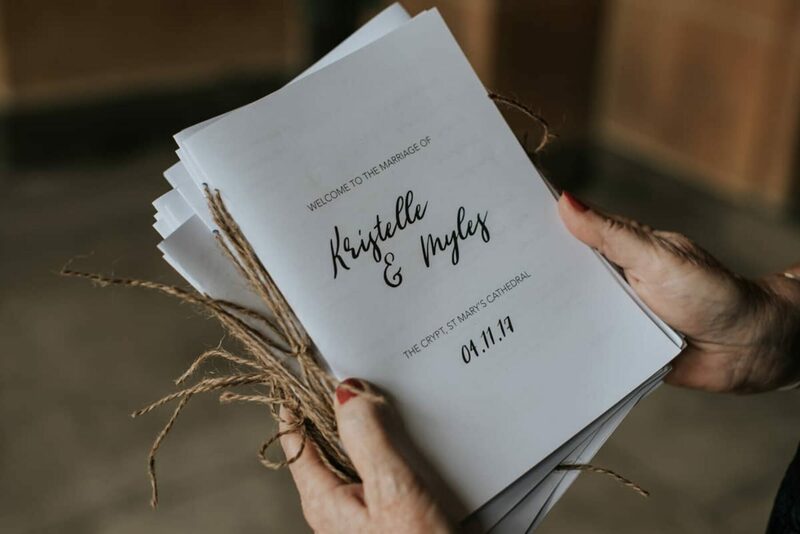 Kristelle and Myles wanted to hold their ceremony in a church that would suit the European style of the reception venue. 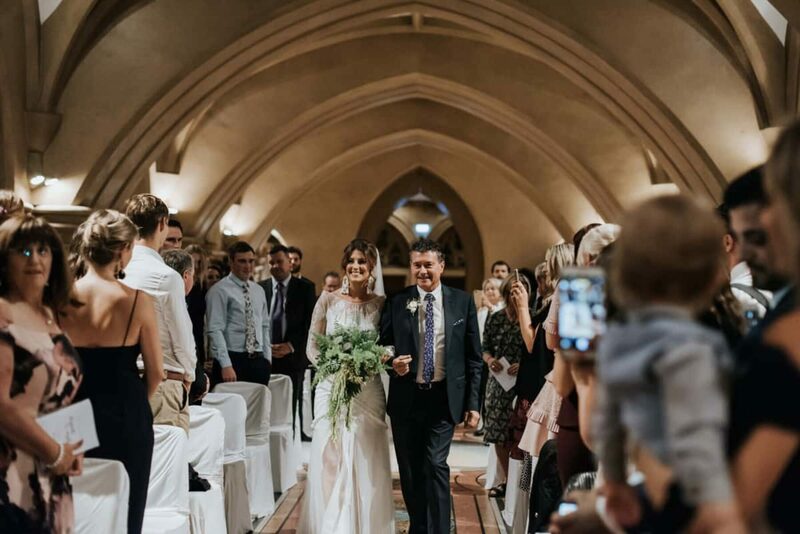 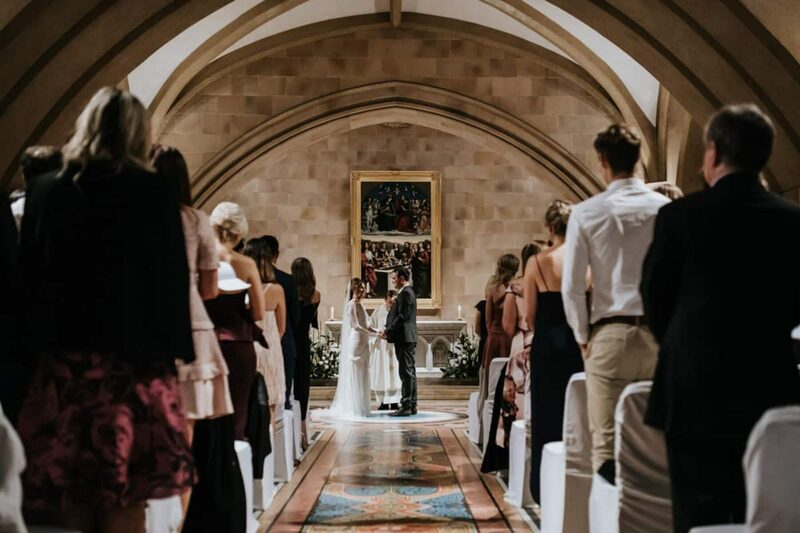 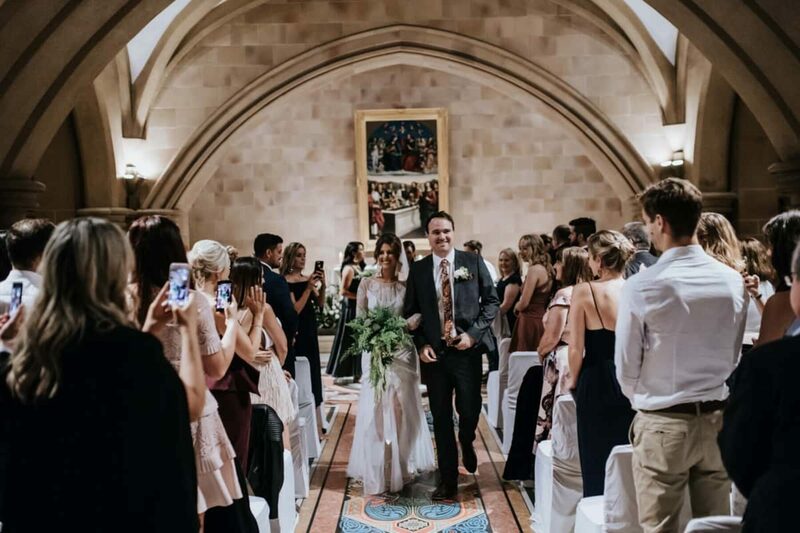 Upon visiting the Crypt at St Mary’s Cathedral they instantly fell in love with its low sandstone archways, terrazzo flooring and beautiful soft lighting. 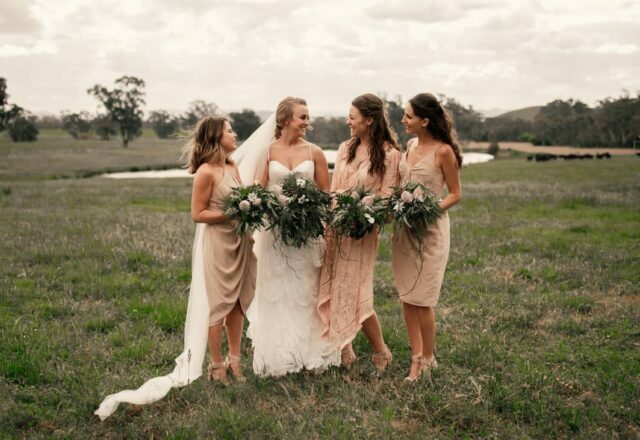 Kristelle’s bridesmaids wore chic dresses in complementary tones from Manning Cartell and Fame & Partners. 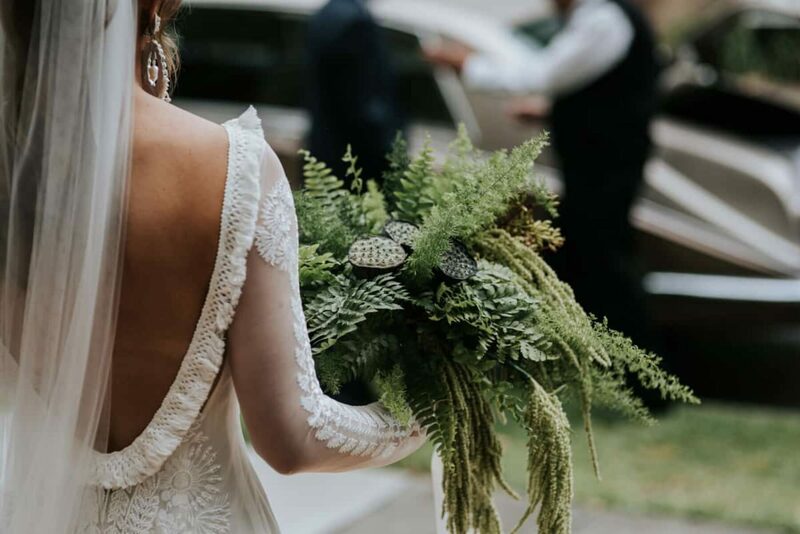 Greenery bouquets of mixed foliage tied in with their modern look. 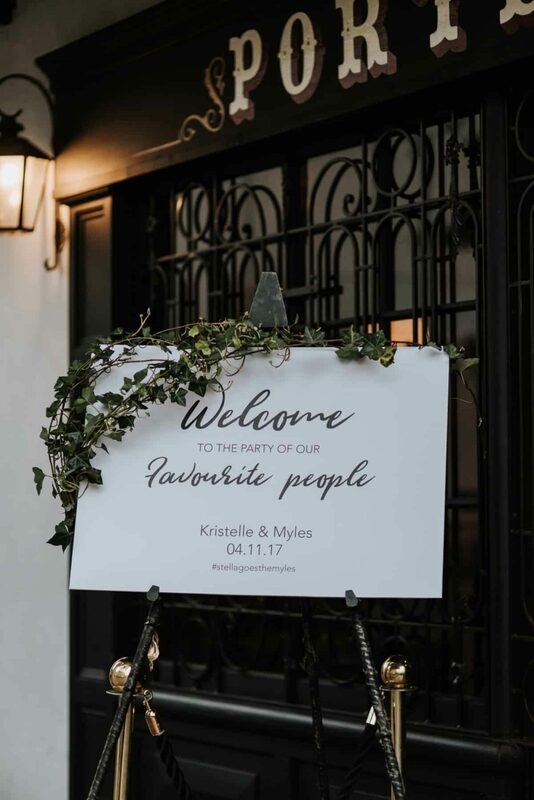 With his fine art aesthetic and natural approach, we can't imagine a better photographer than Damien Milan to capture Kristelle and Myles' stylish affair.